The Forbidden City is to begin limiting the numbers of tourists that are allowed through its doors, in order to provide a more pleasant experience for those visiting. Soon, a maximum of 80,000 tourists will be allowed to attend the Forbidden City each day, which sometimes attracts as many as 140,000 visitors daily. 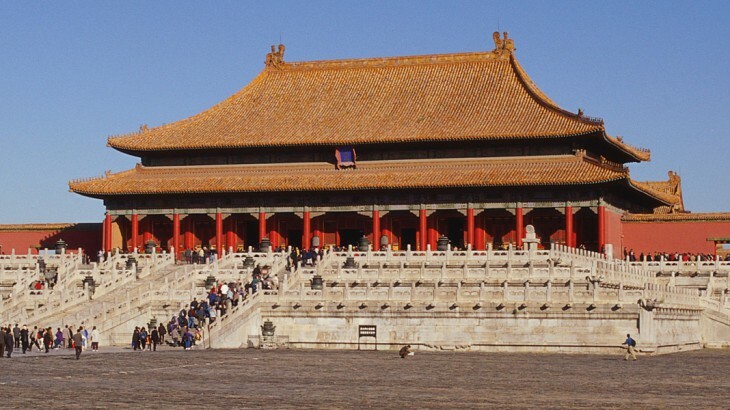 Also known as the Palace Museum, the Forbidden City is the largest palace complex in the world, and is also the world’s most popular museum according to Chinese media, attracting more than 15 million through its gates each year. To put this into perspective, the second most popular museum in the world is the Louvre in Paris, which welcomes 9.2 million visitors per year. From the beginning of April, there will also be restrictions on microphones and megaphones, in order to provide a more serene experience for visitors. It will also allow those on guided tours of China to be able to hear their tour operator more clearly. Interestingly, during the winter months from November until the end of March, the Forbidden City sees as little as 29,000 visitors per day. In order to combat this, the prices will be lowered during the low season to just RMB 20, which will hopefully attract more visitors during this time period. However, this ‘low’ number of tourists is still enough to fill a small football stadium! The Forbidden City is so popular with tourists due to its extensive history, which includes the Ming dynasty to the end of the Qing dynasty. It was built in 1406-1420 and consists of 980 buildings, which cover an area of 180 acres. Named as a World Heritage Site, due to its largest collection of preserved ancient wooden structures, it’s no surprise that so many visitors are attracted to the Palace Museum in Beijing. Visit the Forbidden City on a holiday to China with the UK’s leading China Experts, Wendy Wu Tours. Our award winning escorted, fully inclusive tours visit all the major sights of China for an unforgettable holiday. China china news, top things to see, tourism, unesco heritage site. permalink.